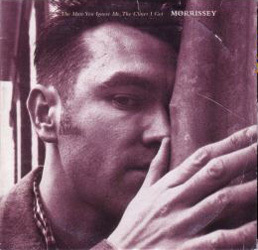 The version of "I'd Love To" on the USA cd-single has slight production differences with the version on the EMI/Parlophone releases. 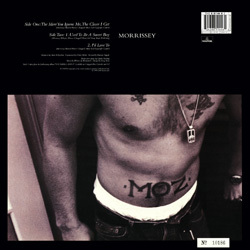 The UK 7" and 12" are numbered and the 12" included a folded poster (view). 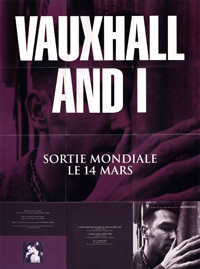 The booklet inside the French cd-single also unfolds into a 2-sided poster (view side 1, side 2). 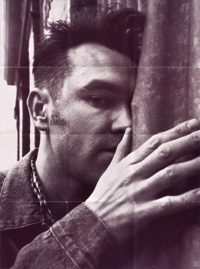 Morrissey, photographed by Linder Sterling (front artwork only). 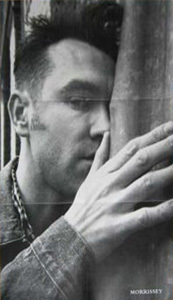 The UK promo described below shows Morrissey with friend Jake Walters. Photo taken by Jake through a mirror. 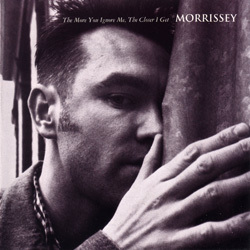 UK: The release of this single was preceded with the distribution of a promo specially designed by Morrissey (view in image gallery top left). 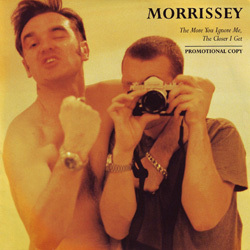 It was made available on cd (CDRDJ6372) and 7" (RDJ6372), both formats featuring only the title track. Some copies of the compact disc variation include the intended orange promo disc, others include a mispressed stock disc with 7"-style "45 RPM" graphics. 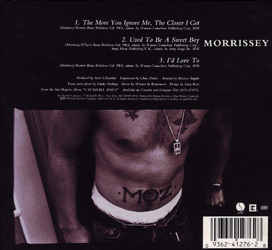 Promotion was also more limitedly done with the help of the orange promo compact disc distributed inside a stock cd packaging with plugger and artist information stickers on the slimline jewelcase. 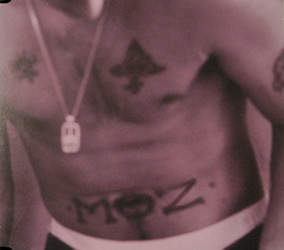 Prior to that, anticipation for the upcoming release was whipped up with the limited circulation of a one-track promotional video. 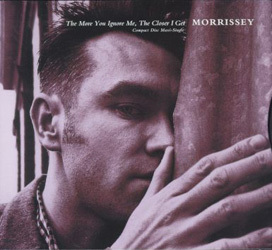 "The More You Ignore Me, The Closer I Get" was included on a various artists radio sampler cd titled "Very Parlophone" (catalogue number unknown). 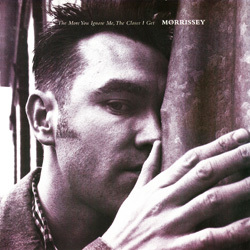 France: The release of this title in France was promoted with stock copies of the 2-track Holland edition with a "Echantillon Gratuit Ne Peut Etre Vendu" promo sticker on the back of the sleeve. 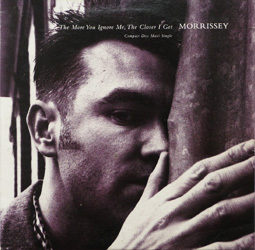 Germany: The release of "The More You Ignore Me, The Closer I Get" was promoted in Germany with the help of stock copies of the 3-track Dutch cd paired with a "Compact Info" press release from EMI Germany. 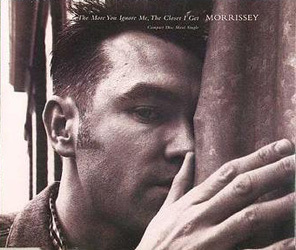 Philippines: A promotional 7" of "The More You Ignore Me, The Closer I Get" was pressed for promotion of the "Vauxhall & I" album. 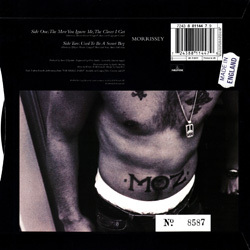 Sweden: The release of this single was promoted in Sweden with the help of stock copies of the 2-track Dutch edition with a large promo sticker on the back of the card sleeve. 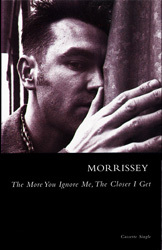 The sticker advertises in Swedish this single as well as the upcoming "Vaxhall & I" [sic] album. 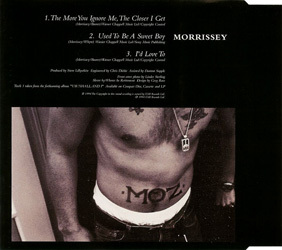 USA: A one-track cd (PRO-CD-6624; no front artwork; see back in left menu) of the title track was sent to radios to promote this single as well as the upcoming "Vauxhall & I" album. 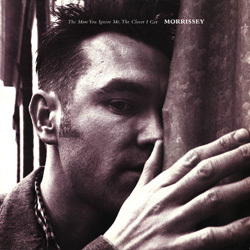 The song was included on two various artists Warner samplers, one titled "Heck On Wheels vol. 4" (Warner Bros PRO-CD-6807) was intended for radio, and another one titled "Top Hits USA March 1994" (T-216) was intended for instore play. 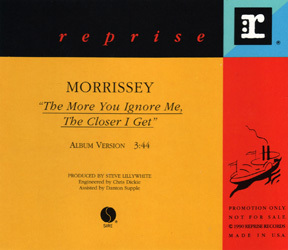 A one-track promotional video of the title track was also distributed by Reprise. 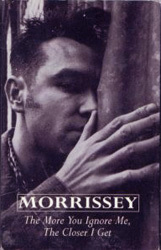 The video was included on a few various artists compilations such as the 06-30-1994 Warner/Reprise various artists promo compilation, a different one numbered #209-94, an issue of the ETV various artists promo video series (NL204) and two different various artists video compilations intended for instore/retail, one untitled which may have been put together by Warner Bros, and one titled "Hot Hits May 1994".